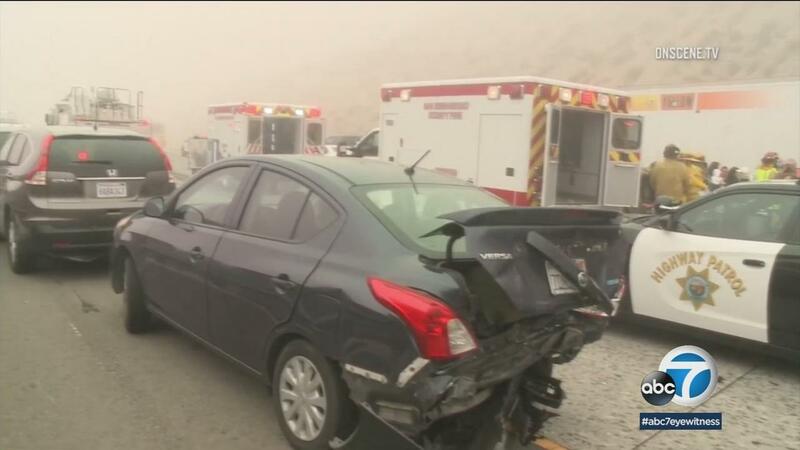 Firefighters cared for at least 17 injured people on Wednesday after a vehicle accident on the foggy, southbound 15 freeway at the Cajon Pass. In a tweet just after 11:15 am Wednesday, the San Bernardino County Fire Department said that the three-alarm, main accident between Oak Hills and Highway 138 has occurred. California Highway Patrol officials said two cars crashed on the Southbound 15 Freeway at about 10 am , and with it began a chain reaction wreck with 20 to 30 other vehicles. Heavy fog and limited visibility in the area contributed to the accumulation, authorities said. Cajon (Update): The ALS resources have completed triage again. 2 immediately, 15 minors. Numerous drivers and residents refuse treatment. ME302 is Southbound IC. Traffic is secured on Main Street in Hesperia. Extremely low visibility in the area of ​​the incident. The drivers of the accident said they had tried to avoid collisions with other vehicles. "I looked out the driver's window and noticed that there were two or three overturned cars, and then the guy behind me hit me, so he pushed me in front of me to the car and it broke my radiator," said Hesperia Resident Nicole Taylor. D & S Sean Fisher and his sister were on their way to a high school graduation ceremony during the traffic jam. The two were to stop until ABC7 photographer Martin Orozco alerted CHP. The officers then took action by taking the teens with them.